Queen Victoria's Would-Be Assassins: A Review of Paul Thomas Murphy's "Shooting Victoria"
Several attempts were made on Queen Victoria's life between 1840 and 1882. They were generally regarded as the acts of the mentally unhinged, and were dismissed as such. Serious historians do not seem to have seen them as major events in her reign and have therefore tended to pass quickly over them. According to Paul Thomas Murphy, however, Victoria herself saw them in a positive light, believing that they made her more popular. After the last such attempt, by one Roderick Maclean, she wrote to her daughter Vicky that she was moved by the "enthusiasm, loyalty, sympathy and affection" shown by her subjects, and added: "It is worth being shot at to see how much one is loved" (458). Murphy's Shooting Victoria takes his thesis from this, suggesting that the acts of these desperadoes made both the Queen and the English monarchy more popular. He believes that they helped her to bring about a "redefinition of monarchy" by "yoking together royal legitimacy with popular will" (507). The culprits too had their reward, in that they gained some much sought-after notoriety, the only accolade they could aspire to in their miserable lives. They were either confined at "Her Majesty's pleasure" and given food and shelter, or, more often, ended up making new lives for themselves in Australia. Not much has been known about these would-be assassins other than their names. In order to reconstruct their lives in a novelistic way, Murphy has turned to archival and published material which he has rifled with a tenacious zeal, as his detailed "Works Cited" and an elaborate bibliography testify. The incidents are put in their full historical context, and give new insights in to that context, too. It was, of course, an era when the monarch and her consort "had nothing like the protection offered the monarch and other heads of state today, in which at the first inkling of an assassination attempt, the protectors take charge and take steps to isolate their charges" (56). 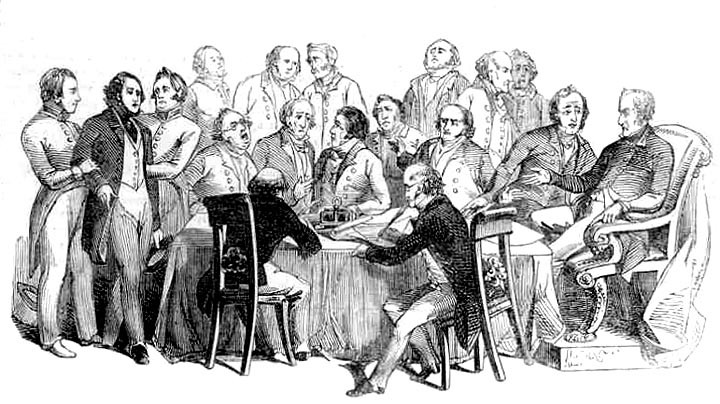 Murphy's detailed researches open up and weave together not only earlier forms of royal protocol and ceremonial, and the dealings of the Queen with the rest of the royal family and her ministers, but Victorian police and legal procedures as well, and the different social backgrounds of the seven variously eccentric and marginalised figures responsible for each assassination attempt. 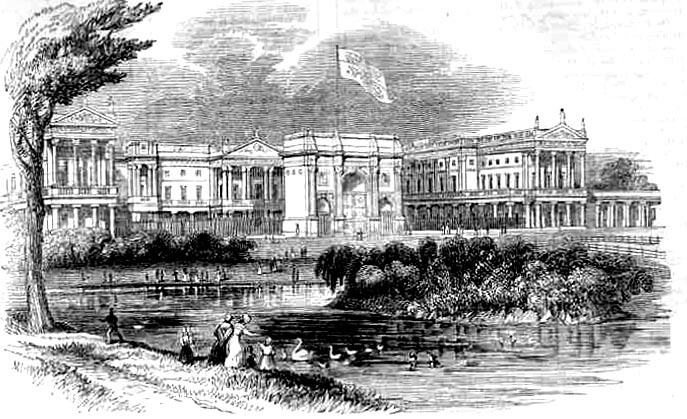 Buckingham Palace as it was before the addition of the east wing in 1847. Nearly all the attempts were made in its vicinity. Murphy's first and perhaps most thorough reconstruction is of the life of Edward Oxford. Oxford's father was a man of violent temperament, and he abused both his wife and his son. The younger Oxford had inherited his father's genes. As he grew up, his own "behaviour eerily reflected his father's" (32). He was subject to maniacal behaviour, uncontrollable laughter and fits of insanity. His mother left her husband and took her son to her relatives who were publicans. Oxford was given work in the family pub. He did his job well but often picked quarrels with his neighbours and customers. Once he struck his neighbour "on the head with a chisel, was brought before a magistrate and found guilty of assault." His aunt defended him but she "had serious doubts about the boy's sanity" (33). Oxford worked in pubs for the next three years. His employers were generally pleased with his work, but were "baffled and disconcerted by his eccentric behaviour. The inexplicable, maniacal laughter continued" (35). Finally his landlord Mr Robinson sacked him "with a quarter's wage" (36) — about five pounds. For no apparent reason, Oxford then went and bought himself some pistols, and with the remaining three pounds, made his way back home, where he idled away his time, read various books, and became fascinated with the idea of assassination. He fantasised about a military organisation called "Young England" of which he became a chief officer, and practised firing his pistols for practice as well as for his own amusement. He soon encountered an elderly man, John Hadfield, who had tried to shoot King George III, and perhaps developed his own plans then. Consulting newspapers in coffee-houses, he noted the movements of Victoria in the Court Circular, and arbitrarily decided to shoot her. Off he went to Buckingham Palace on 10 June 1840, and waited on Constitution Hill for the Queen and the Prince to emerge for their regular airing. They were sitting in a "droshky, a very low carriage that rendered the royal couple sitting alone fully visible to all" (54). Taking a "dueler's stance" (55), Oxford fired his pistol at them. The Queen thought someone was shooting in the park, but Albert had noticed the attacker. Seizing his wife's hands, he asked her if she was all right: she just "laughed at the whole thing." But when Oxford prepared to fire again, the Queen spotted him and sensibly crouched down and pulled her husband down beside her. 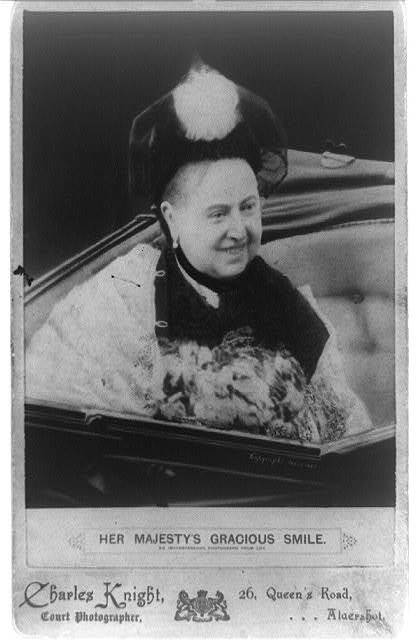 Then (the important part), as confusion reigned, she told Albert to have the postilions "drive on, and they did" (56). Once safely back in the Palace, according to one account, "Victoria burst into tears . . . Albert held her and kissed her repeatedly 'praising her courage and self-possession'" (58). But her outward calmness and nonchalance had had the desired effect on the public, boosting its loyalty to the Queen and monarchy: "all suspicions of her German husband were forgotten" (57). Oxford did not run away. It was suspected that he was part of a greater conspiracy, an idea fuelled by his claim to be part of a movement. This led the police to ransack his home and search for people connected with the organisation. Murphy goes on to give minute details of their attempts to place Oxford at the centre of a non-existent conspiracy, showing how the young man basked in all the attention he got. He asked his lawyer, "did you see how I was noticed! — what a noise my case seems to make" (89). He was tried in court, and found guilty — but at the time insane. Sentenced to be put away "at the Queen's pleasure," he was sent to the hospital for the insane at Bethlem, where he stayed until being transferred to Broadmoor in 1864. John Francis's attempt: "The Cowardly and Disgraceful Attempt on the Life of Her Majesty." The Illustrated London News, 4 June 1842. Other such colourful incidents follow. So colourful are they that, reprehensibly but rather comically, Murphy's publishers inserted a disclaimer at the beginning of this English edition of his book, to the effect it "is a work of fiction. All characters, organizations, and events portrayed in this novel are either products of the author's imaginatiuon or are used fictitiously" (emphasis added). But these incidents really did occur, and Murphy has issued his own vigorous disclaimer of the disclaimer on our own website. The next "assault of sorts upon the Queen" (165) was on 3 December of the same year (1840), when an unkempt young man named Edward Jones was found hiding out in the Queen's dressing room. This sort of thing still happens very occasionally in our own time, despite all the measures now in place to prevent it. Then as now it caused a pubic sensation by exposing the security lapse in the Royal Household. On another occasion there was a sudden explosion when a man called John Francis for the second time in two days pointed a pistol at Victoria. He was seized, relieved of his pistol, and later charged with High Treason, being finally sent "in a hackney cab to Newgate" (186). Murphy surmises that the reports of Oxford's comfortable and easy life after the shooting encouraged Francis to hope that he too would live "a life of ease at the Queen's pleasure" (192). But in fact he was sentenced to be hanged. In the event, Francis's sentence was "commuted to transportation for life at hard labor" (205). The Queen's next would-be assassin, hardly more than a month later, was a seventeen-year-old hunch-back dwarf, John William Bean Junior, who had become "tired to death of his life" (207). He would wander around the royal parks, and one day, seeing the royal carriage pull up, took out his pistol and fired at the Queen. There was no explosion, but Bean was apprehended by an even younger youth called Charles Dassett, who managed to get hold of a policeman. Dassett turned to his friend Fred and said, "this chap is going to have a pop at the Queen — I think he wants to be provided for for life" (213). Bean was bundled off to the police station and sentenced appropriately. Commentators tried to find political motives for these incidents: they thought of the republicans, wide sections of the poor in London, the Chartists and the Fenians, who were agitating for Irish independence. But Murphy makes clear that whatever motives these particular assailants had, "political fanaticism was not among them" (225). While fleshing out such narratives, however, he does reveal the mostly unknown fact that the movement for Irish independence originated in the Unites States, where the immigrant Irish formed the society of Fenians in New York in 1857. The group was "committed from the start to the militant overthrow of British rule and the establishment of an Irish Republic" (366), and was exported to Dublin the next year, where the Irish Republican Brotherhood was born. In fact, a bedraggled, penniless Irishman called William Hamilton had made an amateurish attempt on the Queen's life in 1849, thus bringing politics into play. But Hamilton, far from trying to score a political point, simply hoped that by alarming the Queen, he would be arrested, and (like Oxford) provided for at her Majesty's Pleasure. He somehow procured a pistol, went to Constitution Hill, and when the royal carriage arrived, pointed his pistol at Victoria. He was quickly apprehended. It was found that his pistol (like those of the Queen's other firearms-bearing attackers) simply contained gunpowder and was "certainly unloaded with any sort of projectile" (278). There was talk of political motives but Hamilton's nation "disowned him; no one sought clemency for him" (285). He was sentenced to seven years' transportation. The Queen's next assailant was, unusually on both counts, a man of mature years and a gentlemen. Robert Francis Pate came from a rich family: he was always elegantly dressed and carried a cane. But he was rather an eccentric type, and his peculiar behaviour and mannerisms made people laugh at him. No one knew quite what to make of him. On 27 June 1850, he suddenly went up to the Queen's carriage when it was leaving Cambridge House in Piccadilly and hit her on her forehead with his cane, dislodging her headgear. She was shocked and fell "into the laps of her alarmed children." While the extraordinarily aptly-named Pate was apprehended and taken away, the Queen quickly recovered her composure, readjusted her headgear and announced "I am not hurt" (317). She resumed her duties, even going, according to plan, to see an opera at Covent Garden that very evening. Sporting visible evidence of her attack, she received a resounding welcome. Pate was tried in court. He "could offer no motive for striking the Queen besides claiming that 'felt very low for some time past'" (322). He too was transported, exiled to Tasmania, with the dubious honour of having actually touched and assaulted the Queen with his cane. 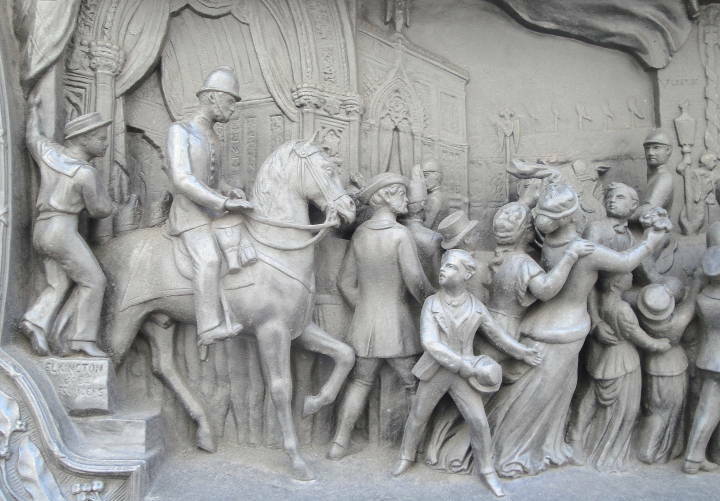 Parts of the relief on the Temple Bar, showing the melêe as the royal procession passes on its way to St Paul's, on 27 February 1872 to celebrate the recovery of the Prince of Wales from typhoid fever. Having failed to hide himself in the cathedral itself, young, disaffected Arthur O'Connor failed too to get near enough the carriage to make his attempt. It is easy to understand how hard it was to get close to the carriage. Next in this strange and largely pathetic line of attackers was seventeen-year-old Arthur O'Connor. He was indeed a self-proclaimed Irish nationalist. Though he had lived all his life in London, he was "passionately Irish" (379). He had visions of his glorious Irish heritage but was indignant that "his own family had sunk into obscurity and squalor" (378), and had decided that by shooting the Queen he would "restore the reputation of the O'Connors, and join the pantheon of great Irish heroes" (379). On second thoughts, however, he felt that killing the Queen would not serve his purpose because it would only bring in the Prince of Wales, who "certainly would not free the Fenians." He decided therefore just to terrify the Queen and all the people around her. He himself would of course be apprehended and would "certainly be executed for High Treason." His own personal reward would be that his death would bring him "everlasting fame" (380). O'Connor prepared a parchment and wrote on it the proclamation that all the Fenian prisoners should be released. He aimed to force the Queen to sign it. He then "obtained his pistol — the cheapest he could find" (381). When the Queen's carriage turned into the palace forecourt from an outing in the parks on 29 February 1872, he pointed the gun at her, crying "Take that from a Fenian" (385). He was quickly apprehended by the Queen's trusted servant John Brown and handed over to the appropriate police officers. O'Connor, like Oxford, was found to be insane. First he was sentenced to "one year's imprisonment at hard labor. And during that time, he would be subjected to one whipping: twenty strokes with a birch rod." Finally, he was committed to "Hanwell Asylum as an imbecile" (418). A platform at Windsor Station today: this is the setting in which we first encounter Roderick Maclean. Victoria's last would-be assassin was an even sadder case, the "slouching and a miserable-looking man" called Roderick Maclean, whose attempt was the only one made outside the environs of Buckingham Palace. 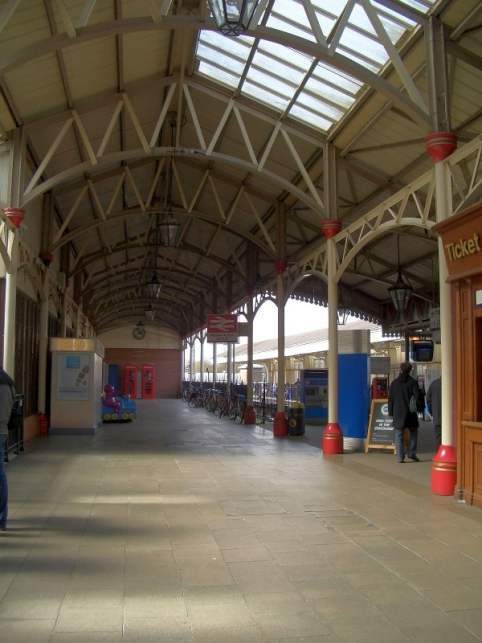 When we first meet him on the platform of Windsor Station, on the day of his attempt (2 March 1882), he is "filthy, either unwilling or unable to wash off the dust of the many roads upon which he had tramped" (420). He was, in fact, a tramp and believed that he had a personal conversation with God who had assured him that he would assume the British throne someday. God also gave him the secret number four and the colour blue as his lucky signs. When he wrote a letter to his sister Annie telling her that "the English people have continued to annoy me" and that he was determined to take revenge on them, he added that by the time she got his letter, he would "be in prison" (427). Annie was alarmed, and consulted a doctor who certified that her brother was insane. Roderick was sent to a lunatic asylum where he was confined for fourteen months. After his release, he resumed his wanderings. One day he came across a pawnbroker's shop, went in and bought a pistol. Thus armed, he reached Windsor Station where the Queen was due to arrive. She wore her usual black dress, except that on this occasion she also wore a "blue sash of the Order of the Garter" (436), which Roderick considered a sign of luck. 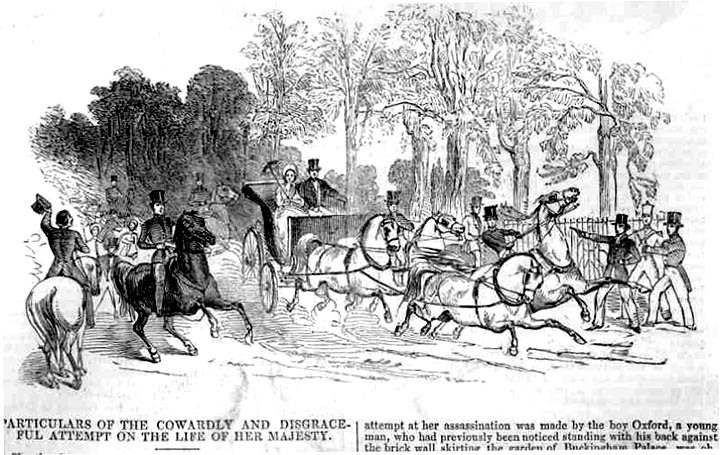 When her carriage approached, he duly fired. Far from being hit, the Queen was unhurt, and thought that the sound had come "from a train engine." The crowd fell on the culprit and subdued him. In a farcical scene, "Two of the Eton boys, armed with umbrellas, belaboured Maclean over his head and shoulders" (453). When a bullet was discovered in the mud, however, the Attorney General came to see the act as a bona fide attempt to kill the Queen. He therefore decided that Maclean should be tried as a murderer, not just for misdemeanour. But, as with his predecessors, the magistrate's enquiries found that Maclean was a victim of insanity. Accordingly, he was declared not "guilty on the grounds of insanity and was to be kept in custody at the Queen's pleasure" (480). The Queen herself found such verdicts totally unsatisfactory. She wanted the attempts on her life to be taken more seriously by the government, and believed that the culprits should be punished more severely. However, she knew that she herself could not change the law. Her government tried to placate her by passing a new law dictating that the verdict "not guilty by reason of insanity" should be changed to "Guilty but insane" for every felony, including treason (487). "The consequences, of course, would remain the same — the detainment at the Queen's pleasure; it was the stigma that was new" (488). Murphy ends his long narrative by giving details of the "after life" of all those who made an attempt on the Queen's life. These provided for themselves either a protected life in confinement, where they lived without worries about food and shelter, or new opportunities far from the scene of their most notorious deeds. Those who were transported to Australia lived normal, and in a few cases, prosperous lives under different names. Edward Oxford, for example, was finally freed from Broadmoor in 1864 on condition that he went out to one of the colonies. 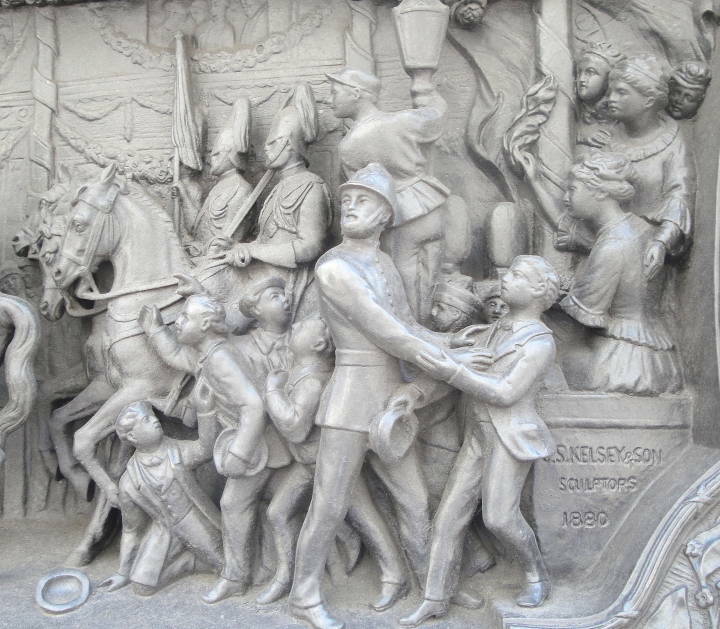 In Melbourne he left his past behind him, becoming John Freeman, and eventually the Vice President of the West Melbourne Mutual Improvement Society. A popular monarch: "Her Majesty's Gracious Smile," a visiting card with a photograph by Charles Knight dating from 1887 (Library of Congress Digital Gallery, reproduction no. LC-USZ62-93417), the year of her Golden Jubilee. So novelistic that it apparently fooled his English publishers, Murphy's account of this aspect of Victoria's reign is both involving and entertaining. The repeated attacks on the Queen's person not only failed to remove her, but helped to win both her and the British monarchy, as an institution, greater popularity. They were, of course, not the only factors involved. Lytton Strachey, having himself deftly summarised the attacks in a few pages at the end of his Queen Victoria (1921), finds many other causes for the change in attitude, not least the public sympathy aroused by the various personal losses that the Queen sustained over the years. Nevertheless, Murphy's focus on these episodes has brought to light a huge amount of previously unexplored material about different layers of society. His own brief biography on the inside back cover tells us that he has taught "a variety of disciplines" at the University of Colorado, and all of them seem to have come in useful here. He has written a wide-ranging book bringing the political and social history of Victorian times to life through seven previously hidden lives, united by the same strange compulsion. Anyone with any interest in the age will enjoy reading it, and learn much from it. Murphy, Paul Thomas. 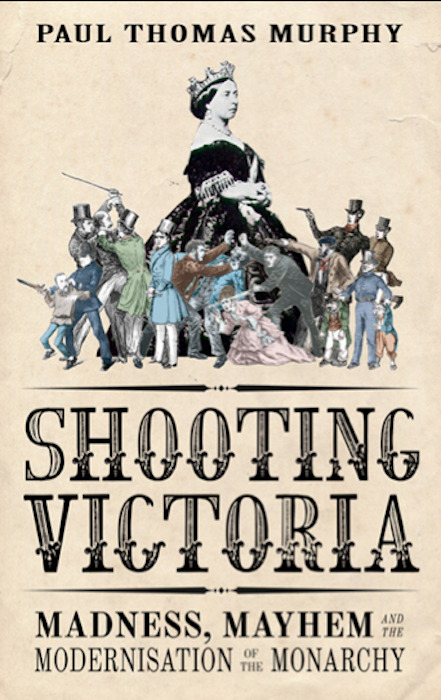 Shooting Victoria: Madness, Mayhem and the Modernisation of the Monarchy. London: Head of Zeus, 2012. 669 + xiiipp. £25.00. ISBN 9781781851272.